She is a choreographer, dancer, actor, dance impresario and teacher with over 28 years of professional experience. She began her interesting career in childhood as a gymnast when she competed internationally for the Canadian Modern Gymnastics team. Upon completing an honours bachelor's Fine Arts degree in Dance at York University, she became one of the founders of T.I.D.E. (Toronto Independent Dance Enterprise), the now-defunct but still notorious company that danced across Canada for 10 years. In 1991, Denise formed her own company, Fujiwara Dance Inventions, to house the development of her exquisite solo concerts. Sumida River, a haunting Butoh work created especially for her by acclaimed choreographer Natsu Nakajima, has been featured in dance festivals across Canada and in Seattle, Washington D.C., Copenhagen, Ecuador and India. It was named the Best Dance Performance of 2000 by Toronto NOW Magazine. Elle Laments, her fourth concert of site-specific solo dances, was a highlight of festivals across Canada including the Canada Dance Festival in 1998-1999. Her fifth solo concert, Brief Incarnations, featured works by the remarkable choreographers Peter Chin and Tedd Robinson, as well as her own work. It received two Dora Award nominations. Komachi, by Tokyo Butoh luminary Yukio Waguri, has toured to Ecuador and Vancouver. Denise returned to ensemble choreography with Conference of the Birds, which was called "
the best thing to premiere at the (fFIDA*) festival in many a year" by the Toronto Star. In addition to her career as a dance artist, Denise works in film and television. "Walls", a CBC Television documentary about her life and work by celebrated filmmaker Jeremy Podeswa, won the 1995 Gemini Award for Best Performing Arts Program. 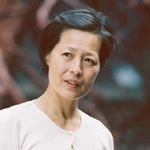 In 1997, Denise co-founded the CanAsian Dance Festival where she is the Artistic Director. Fujiwara's approaches to the disciplines of dance technique, improvisation, performance and choreography have developed over 29 years of intensive research, practice and performance. She is grateful to her remarkable mentors and teachers including Tokyo Butoh master Natsu Nakajima, Montréal dance master Elizabeth Langley, the now disbanded Mangrove Dance Collective of San Francisco, American theatre director Anne Bogart, and the late choreographer Judy Jarvis. Fujiwara Dance Inventions is a repertory dance company devoted to the creation, production, and touring of dance works and concerts. It conducts activities for the professional development of the Company and the dance community, and promotes an appreciation for the art of dance to the general public. Started in 1990 to house Denise Fujiwara's endeavours as a solo choreographer and performer, it has facilitated the creation of new work, commissioned and acquired work. It has seen the creation of five solo concerts most of which have toured broadly to good critical notices. The company's touring has expanded to international festivals and the repertoire is expanding to include ensemble works.